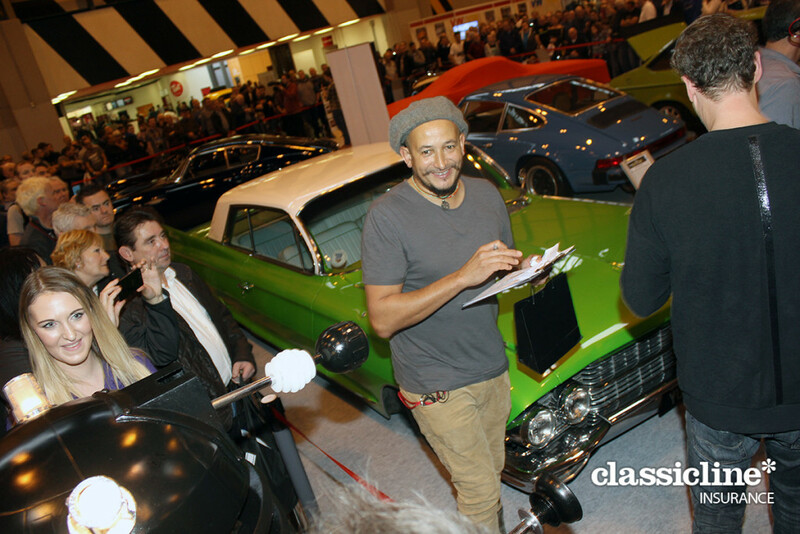 It certainly was a busy old day at the NEC on Sunday 15.11.2015 at The Classic Car Show, in hall one there was some live filming going on as the Car SOS team were doing a live unveiling to a very lucky car owner. As Daleks are naturally nosy the ClassicLine Dalek had to go across to Hall One and check out what the Car SOS guys were up to. 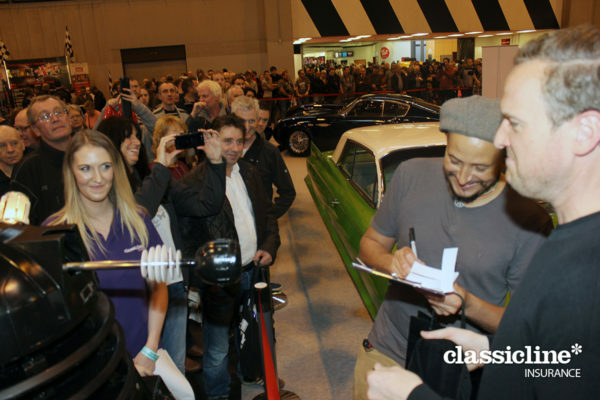 Little did our Dalek know he would catch the attention of the shows presenters Tim Shaw and Fuzz Townshend and they even offered him the opportunity to enter their competition. The video speaks for itself, it’s had us in tears of laugher and as the event was being filmed, you never know our Darlek might even get on the TV! We would really like to say a big thank you to Tim Shaw and Fuzz Townsend for being great sports!